Apple on Wednesday released two updates to its collection of music creation tools for iOS. The goal is to make it easier for musicians and aspiring musicians alike to more easily create and produce jams throughout the songwriting and production process. The first way is via a brand new iOS app called Music Memos. Inspired by the Voice Memos app, Music Memos is designed specifically for musicians to simplify the songwriting and demo process. 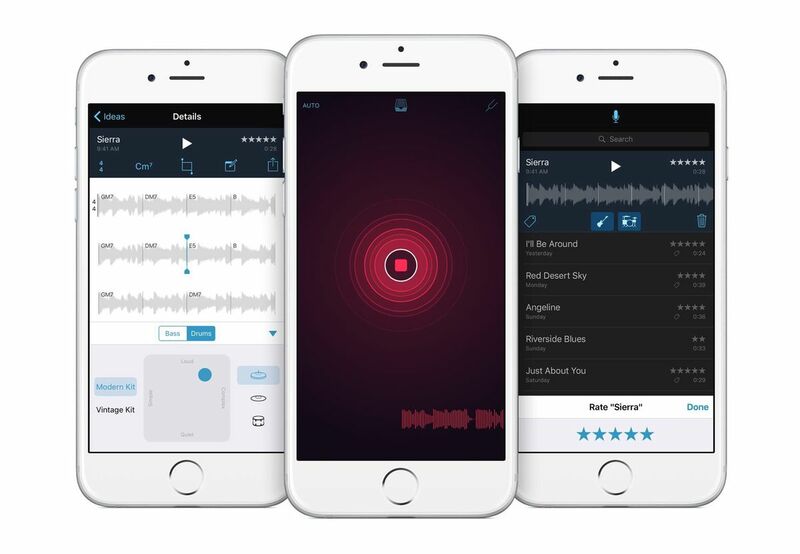 For years, musicians have used the built-in Voice Memos app as a way to quickly capture song ideas or jams. Some artists, including Taylor Swift, have even gone on to release these voice memos as extra features on their finished albums. The problem is that the Voice Memos app was designed as a way to capture the human voice, not music. As a result, the audio is compressed to save space. The new Music Memos app captures music at 24-bit/44.1kHz. It also includes a built-in tuner (for your guitar) and works with any instrument you want to plug into your iPhone. The app was also designed to analyze acoustic guitar and piano recordings and it can show basic chord notations. There’s even a way to add automatic bass lines and drum accompaniment to the recording with a single tap, to get a better idea of how the finished song might sound. There’s even a way to add in real notes — for stuff like lyrics. You can then export the audio to another app, such as SoundCloud, GarageBand and YouTube. You can also import the note into your Mac with GarageBand or Logic Pro X for full-featured editing. The built-in iPhone microphone works well, but you can also use external microphones with the app. 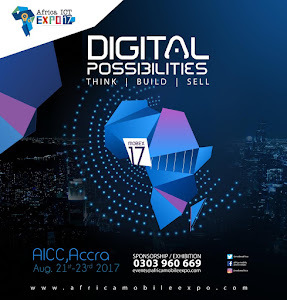 The app is free and available now. 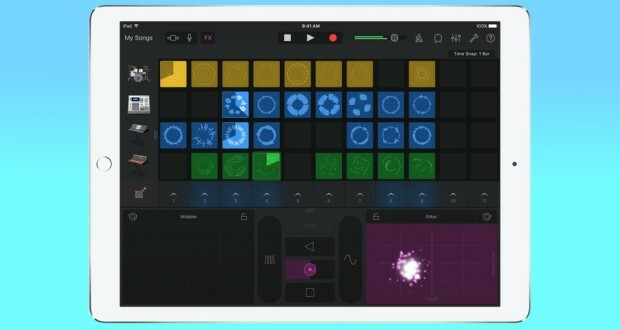 GarageBand for iOS is also getting what Apple says is its biggest update in four years. GarageBand 2.1 for iOS’s flagship feature is called Live Loops. Apple says it was inspired by DJ hardware controllers and drum machines. The idea is you can create music by tapping cells and columns to trigger different looped instruments. GarageBand comes with a large library of Apple-designed Live Loops templates in categories like EDM, Dubstep, Rock and Hip Hop, but you can also create your own. The feature is really, really cool. I had a chance to play with it over the weekend — and while I’m hardly an electronic music pro — it was remarkably easy to create your own beats and sounds. You can even record instruments into the Live Loops to create your own samples or pull loops from iCloud. The feature — which is only available on iOS — is a super cool way for aspiring electronic music creators to create beats. You can then record, remix and edit those songs in GarageBand in iOS or on GarageBand or Logic on the Mac. On the iPad Pro, I was really impressed with how well the visual interface worked, especially with the large screen. The interface looks simple — and it’s easy to pick up — but if you dive in even a few layers — you can get really advanced, really quickly. GarageBand 2.1 also has a new Drummer feature with nine EDM and acoustic virtual session drummers.